Both teams are all but out for the race for the playoffs but the Bengal Tigers can do a rare double over the Islanders in a disappointing season. 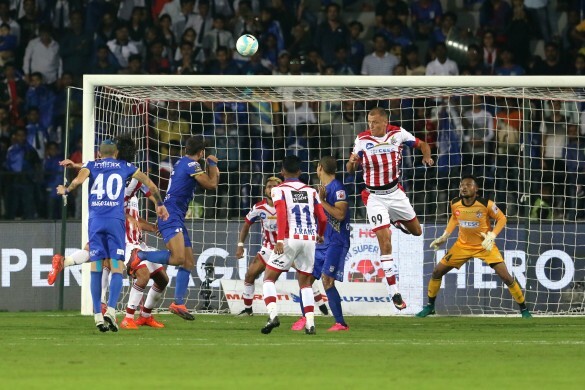 It has been an up and down season for Mumbai City FC in the Hero Indian Super League. Alexandre Guimaraes side has enjoyed good patches of form but haven't been consistent. However, they still have a chance to make it to the top four, although for that to happen, they need to win all their remaining four games. First up for them are ATK at the Vivekananda Yuba Bharati Krirangan, Kolkata, on Sunday. Currently seventh on the points table with 17 points, Mumbai City FC still have a mathematical chance of making it to the final four but they have to rely on the teams above them in the league standings to drop points. On the other hand, ATK having dropped out of the race for playoff spots and will only play for a better position in the league table. "Our chances are still there. Mathematically, we are still in it and we will try to go all the way. And tomorrow's game is very important. The entire team is very hopeful," Mumbai City FC head coach Guimarães said at the pre-match press conference. The Costa Rican coach expressed hope about his team's chance of making it to the playoffs but warned that it may prove to be an uphill battle. "When you are playing against a team that has no chances, it can be a little difficult because they have nothing to lose," he said. Coming into this game, former champions ATK haven't been in a great form. 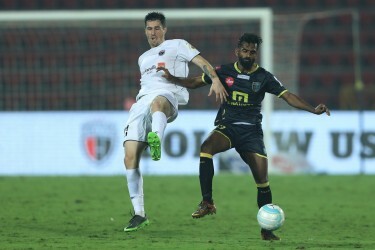 They have not won any of their last five ISL games, earning only one point out of possible 15, something Mumbai City FC can take heart from even though they also suffered a 0-2 defeat at the hands of FC Pune City in their last game. “We have played well. But unfortunately, the mistakes we made are punishing us. I'm proud of my players. We did very very good games. Sometimes, football doesn't reward your good play," said the Mumbai coach. ATK's interim coach Ashley Westwood may not have to worry too much about the results, having fallen short of making the playoffs for the first time. The Englishman, however, still wants his team to end the season on a high. "I don't think that is difficult. When you are a footballer you want to win and for me, that is enough. If they are not then it is my job to pick that up in training and not include them in the team," he said.